5' Bar without Raised Counter Discounts Apply ! This beautiful Bar is perfect for any entertaining or eating area. It even works well as extra work space in your kitchen or recreation room. Has shelving in back area. 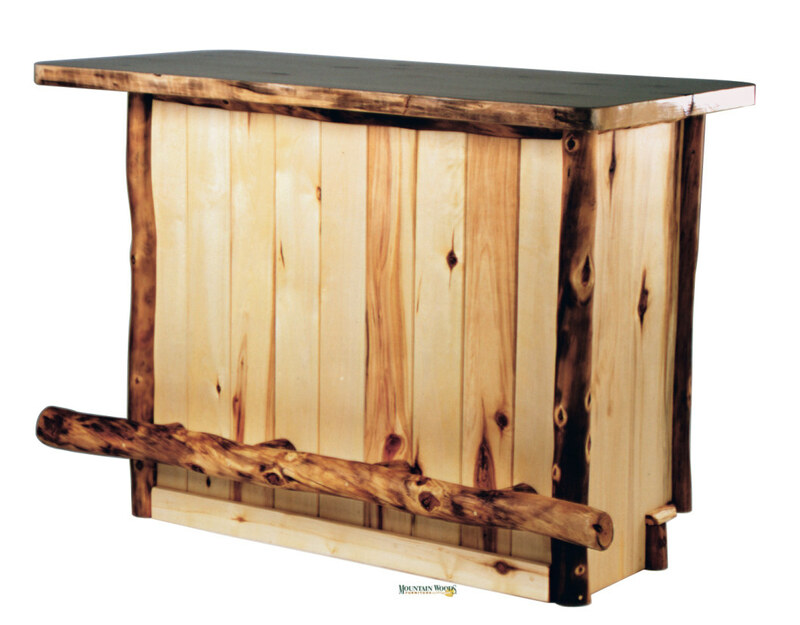 Comes standard with footrests on three sides and a sculpted mountain scene on the front panel. Available in standard Flat-Front (aspen or pine) and Half-Log (aspen) models.